Not just a proven CFO – a team of financial experts. Our name is no accident. With teamCFO you get much more than a highly-qualified chief financial officer. You get the combined experience of a team of executives working on your behalf. Our team has years of experience in a broad spectrum of industries, both service and product-based. Many have experience as CPAs with Big 4 accounting firms and as senior management in large public and private companies. Our goal is to replace ourselves. Hiring a CFO usually comes at a high price – unless that CFO comes from teamCFO. That’s why we call ourselves “the affordable CFO.” Our CFOs bring decades of high-level experience to your business, but on a part-time or as-needed basis, with no long-term commitment. So there are no salaries or benefits to consider, no equity to share. They join your team to solve problems, build a solid financial foundation your company can grow on and then turn it over to your staff. Contact us for an independent, no obligation consultation about how you can put a team of financial experts on your company’s staff. Does your company need a Chief Financial Officer? teamCFO offers up to 30 minutes with one of our Leadership team members in order to take a “Business Benchmark”. In addition you will receive a free Basic Industry Financial Report, a $500 value that outlines steps that will benefit your business immediately. 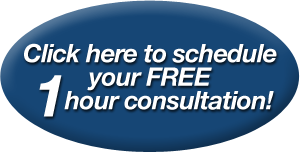 Call 213-628-7340 or use our handy form to schedule your “Business Benchmark”.